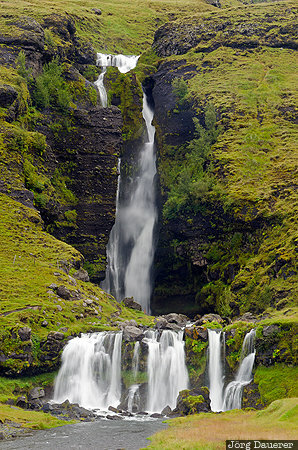 The waterfall Gluggafoss (also called Merkifoss) near Hvolsvöllur making its way through mossy rocks. Hvolsvöllur is in Suðurland in the south of Iceland. This photo was taken at noon on a could day in August of 2013. This photo was taken with a digital camera.